sjhoward.co.uk » Photo-a-day 67: Fawlty sign? Published on 10 March 2014. 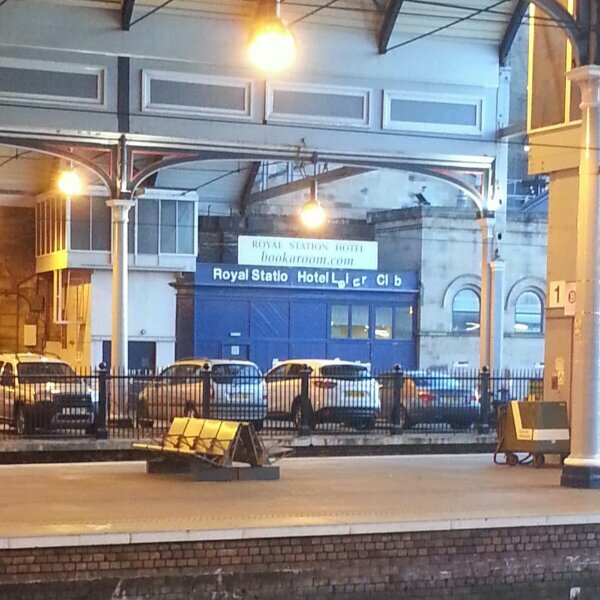 I’m sure the Royal Station Hotel in Newcastle is nothing short of a lovely place to stay. Yet each week, as I stand opposite this sign while waiting for my train, I can’t help but be reminded of Fawlty Towers. This 2,180th post was filed under: Photo-a-day 2014, Scrapbook.